It's the last Saturday night for one of our doctors and a party mood is descending. Paul Simon is playing and those with itchy feet are starting to dance. The goat that bleated the afternoon away attached to a tree by string is in the oven and people are congregating in our outdoor living tukul (a type of hut). Coveted foodstuffs from home are emerging - Raphael's homemade saucisson and salted macadamias from my brother's New South Wales farm, paired with olives from the local market, and a bottle of whisky amidst the regular collection of local beer, Tusker. Our leaving doctor branches out and shaves. Others pull out dresses and perfume, while some remain collapsed in scrubs after another long day in a hospital of great needs. Relaxing and laughing as another week ends in this place at the edge of some kind of world. These are the days of miracle and wonder; this is a long distance call. “Seems like not a great sign,” she said evenly. “How long did you say you were staying”? I’d signed up for nine months to her two. So many friends had asked my first impressions and still I’ve not given them. I’d wanted this so much and for so long that I’d hoped my first impressions would reflect my general excitement. Yet as it was, there was no escaping a sense of bleakness amidst oppressive heat and humidity. The compound landscape was brown and grey; a not-so-fine layer of dust covering anything that stayed still a moment. I looked from the squat, drop latrines to my hip replacement scar and rued the lack of consistent effort at Cross Fit learning to squat. My Swiss human resources friend responded on WhatsApp, “As soon as you will be seeing patients it will all be worth it. I know it.” To my immense relief, I found she was, of course, absolutely right. From my base on the southern border of the disputed zone of Abyei, the South Sudan that I was to get to know boasted every imaginable need. Years of war to become a nation, then the descent into her own civil war, had precluded education, functional health systems, or much in the way of food production. I’d arrived as a measles outbreak was abating and a nutrition crisis worsening. I was quickly learning about the needs and fragility of babies with severe acute malnutrition (SAM) and acute watery diarrhoea, compounded by measles pneumonitis. We were at this time spared war wounds, but the prolific quantity of guns in the community meant everyday disputes and car-jackings still provided serious gunshot patients. 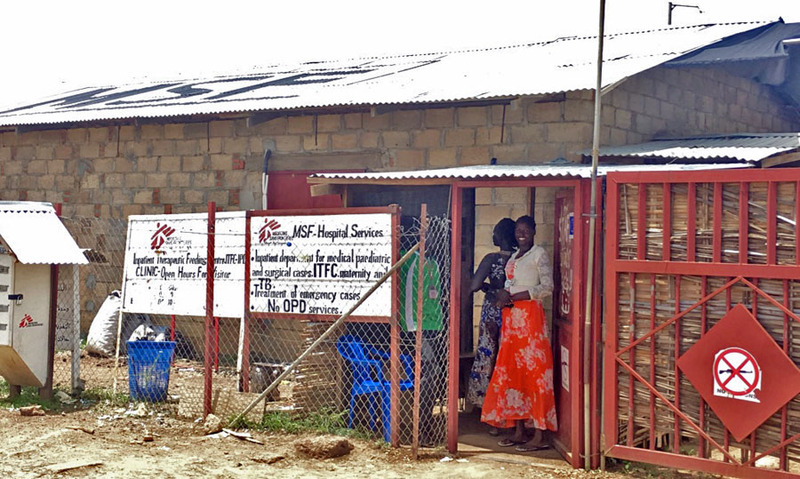 A four- to five-hour drive, on a good, dry-season day, from the Agok hospital is our fairly new Primary Health Care Centre in Mayom. Mayom patients in need of surgical or prolonged medical care are transferred to Agok in both regular and emergent transfers. I arrived to a briefing from the medical coordinator in Juba (the capital of South Sudan) about the challenges of this system, and with a reasonable history of working with retrieval systems in remote Australia, I was eager to be involved. Like any health system teetering at the edge of human survival, for all what was being attempted was already admirable, there was plenty yet in which to invest. The cars that transport patients between the facilities are staffed by locally recruited nurse assistants, a position that does not require education. The dual challenge of any expatriate position in a project like this is always to deliver services, and to educate in order to task-shift as much as possible to less qualified staff who are nonetheless often invested longer term. Trying to keep from invading the autonomous space of the nurse assistants, yet aware of the need to be involved and educating, I started by attending the retrievals where markedly unwell, unstable patients were expected. A man who’d been speared through the abdomen, for example – the spear penetrating through the abdomen and out the other side, before being withdrawn again, created a jagged exit. In that incredibly uncomfortable moment I was vividly aware of not wanting to be anywhere else. 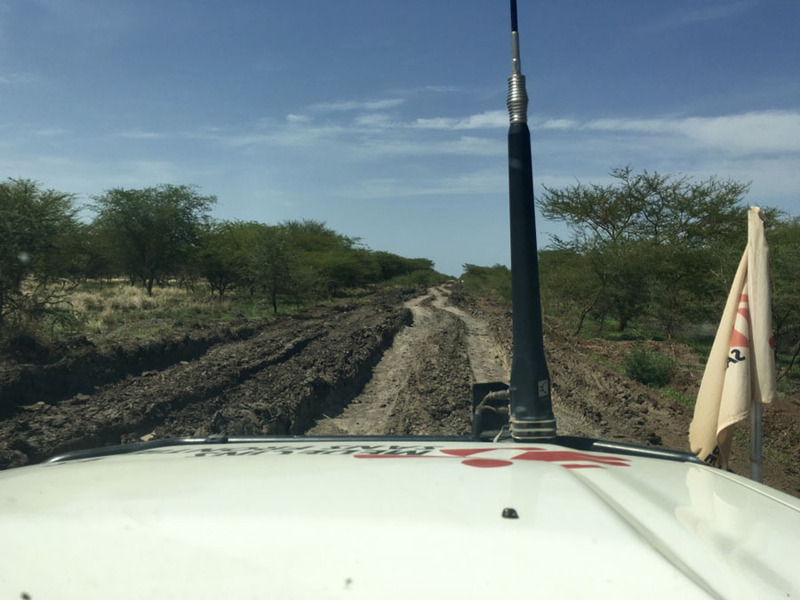 Our convoy from Agok meets the one from Mayom at a midpoint determined by the logistics team according to the condition of the road. I travelled with a nurse assistant one recent day on the longer, wet season road to a meet up where a number of very unwell patients were expected. The journey to the meet point is glorious. Music playing from my iPhone, bumping along with the driver pointing out local wildlife. Happy to be out of the compound seeing the countryside. Watching the landscape change as the early rains begin. We meet the Mayom cars and set to work. The goal is to assess and stabilise the patients, and to teach the nurse assistants how to do the same. Fluids, oxygen, blood sugars. Our capacity is basic yet being constantly refined as we assess needs. We reconfigured the patients into our two four-wheel drives. In one, two mothers with their SAM babies, and the grandmother of one of the babies for the mother was unwell herself with HIV. On the mattress on the floor a 40 year-old-lady, emaciated with a new and evidently late diagnosis of HIV and, curled up with her, her designated caregiver. The nurse assistant climbed in the back in order to closely watch the fluids of the physiologically fragile SAM babies. The second car held a 17-year-old with possible appendicitis. His legs were wasted to sticks, and his breathing rapid. He hadn’t peed for longer than anyone remembered, and was clearly in septic shock. Resting his head on his mother and his feet tucked in behind my precarious perch he vomited black liquid for the ensuing 3 and a half hour drive, cringing in pain over the bumps. 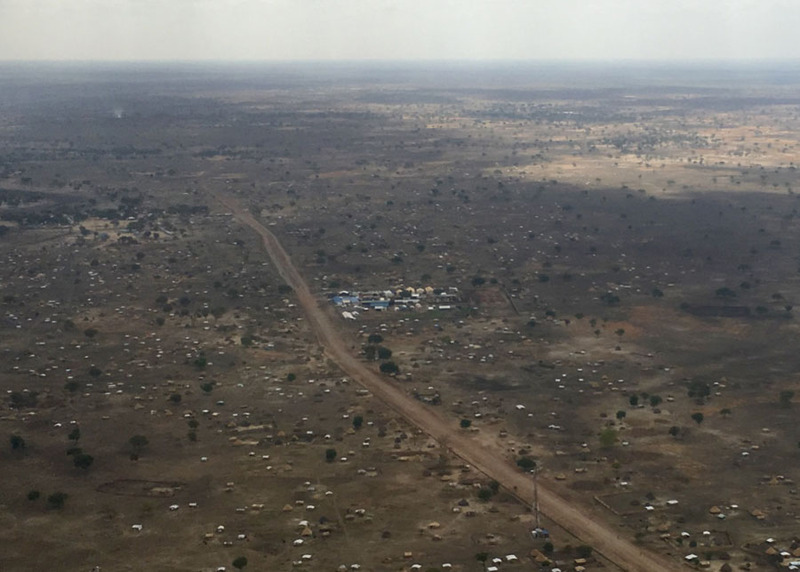 On a mattress on the floor lay an 18-year-old febrile, delirious girl, calling out in Nuer every few seconds; perhaps malaria, perhaps neurosyphilis. Her anxious father up front constantly swivelling to look. I was armed with diazepam to sedate if required, but with no airway adjuncts I preferred the monotonous distressed calls than the silence sedation would have brought. Indeed, when she did eventually fall asleep I kept wriggling from my seat to atop the metal box at her feet to feel for her pulse, reassuring myself. The American surgeon operated through the evening on the young boy, and kept a close eye that night. He died early the next morning. "Ruptured bowel", she told me, "most likely due to typhoid given the history from the mother and the evident wasting. He was this mother’s last child. Now she is facing old age without assistance". The 40-year-old lady with HIV also died. Analysing and counting deaths is a constant task, for it is in understanding why people die that we seek to refine systems that they may live. Equally, I am looking for the stories of survival, and for sure they are not as easy to find as I had hoped. The deaths are like speed bumps in the pursuit of the living. Just as you relax and accelerate another catches you. Yet you continue, slower than you’d hoped, but forward nonetheless. The boy who’d been speared survived. Remembering me from the bumpy ride in the quasi-ambulance, whenever I saw him in the hospital grounds he would grin and shake my hand. I have a coveted photo of him heading home, sitting up the front of the land cruiser rather than lying, bleeding in the back. More staff seem to burn hard and fast here than slow and long, and there is ever a need to replace people. The young delirious girl also did well. Making a late evening round in the hospital a week after we’d retrieved her, her father came and grabbed my hand, pulling me to her tent. He excitedly dragged her away from her conversation to sit on the edge of her bed that he could show me how well she was. A very cool moment. I took a photo with my iPhone and handed her the phone. I’d been having a lot of fun with this recently having found so many of the Mayom patients seemed to have never seen a picture of themselves. She took the phone off me and stared at it in awe and with glee, looking from me, to her father, and back to the phone. We took another and peals of laughter ensured. I printed the photo on regular office paper with black and white ink and gave it to her to her delight. Such a tiny, simple, privileged thing. I remembered the American author Joan Didion saying, “you have to pick the places you don’t walk away from”. As the World Humanitarian Summit continued in Turkey without MSF who’d withdrawn in protest, I thought again about MSF’s Where is Everyone? report. Agok is hard. This hospital is hard. More staff seem to burn hard and fast here than slow and long, and there is ever a need to replace people. Yet MSF are staying. Where there is almost no one else, and certainly no one invested to this level, MSF are pushing forward, assessing needs and planning to develop the hospital to meet them. These are the days of miracle and wonder, and don’t cry, baby, don’t cry, don’t cry. Paul Simon, 'The Boy in the Bubble'.